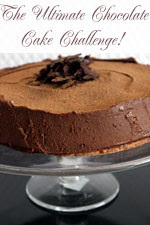 Lorraine of Not Quite Nigella is hosting The Ultimate Chocolate Cake Challenge - every chocoholic's dream event! She invites us to write up our best ever chocolate cake recipe and post about it. There are three ballotine boxes of Colefax truffles up for grabs for the best entries. I am posting this at the last minute, as entries close in around two hours time. However, I couldn't pass up participating in an event close to my heart - that is, one featuring chocolate! I have seen some pretty fabulous chocolate cakes so far, such is the creativity being fostered by this event. I have baked a Chocolate Cherry Cake from p153 of BBC Australian Good Food's November 2008 edition. This cake may not look spectacular, but the special part about it is that it is a low fat version of an old-fashioned favourite by Teresa Cutter, written especially for the magazine. Low fat and chocolate - methinks it is the cake for me! Because of the apple and cherries in the cake, it is very moist. It is also very chocolatey, as unlike many low fat cakes, it contains real chocolate. Teresa, the creator of the recipe, cut down on the fat by leaving out butter and oil rather than totally replacing the rich flavour of real chocolate with cocoa. She has succeeded in creating a very chocolatey, moist cake, packed with delicious cherries, that would be a hit at morning or afternoon tea, or served as an after-dinner treat. The fruit content also means that there is less sugar in this cake than in the standard chocolate cake. Preheat your oven to 180 degrees Celsius. Line the base and sides of a 20cm square baking tin with silicone paper. In a large bowl, pour the boiling water over the chocolate, sugar and sifted cocoa and stir to combine. Leave the mixture to stand for around 2 minutes to give time for the chocolate to melt, then stir the mixture again until smooth. Beat the egg yolks with a fork in a cup, then whisk them into the chocolate mixture. Sift the flour, then fold it into the chocolate mixture. In a separate bowl, beat the egg whites with an electric mixer until they form stiff peaks. Carefully fold the eggwhites through the chocolate mixture. Finally, tip the grated apple and cherries into the batter and stir until combined. Pour the cake batter into the lined cake tin, smooth the top, and place it in the preheated oven to bake for 35 minutes or until cooked through. Remove the cooked cake from the oven and cool it in the tin on a wire rack. Once cool, turn the cake carefully out of the tin and dust the top with icing sugar before cutting it into squares. Enjoy! Thanks to Lorraine for hosting this challenge, and I can't wait to see the array of other delicious chocolate cakes. It is Daring Bakers Reveal Day today, and this month's challenge was pretty special (if a little terrifying in the execution). It involved making a caramel cake (flavoured with caramel syrup made from scratch), a caramelised butter frosting (also flavoured with the caramel syrup), and caramels! How about that for a triple treat. Our hosts this month are Dolores of Chronicles in Culinary Curiosity, Alex of Blondie and Brownie, Jenny of Foray into Food , and for our alternative bakers, Natalie of Gluten-a-Go-Go. The caramel cake recipe is by Shuna Fish Lydon, as published on Bay Area Bites . The caramels (Golden Vanilla Bean Caramels, nonetheless) are from Pure Dessert by Alice Medrich (Artisan Press). The biggest challenge about this for me was making not only one, but two sorts of caramel. Now, I have to confess to being a fraidy cat when it comes to very hot things which are likely to spit and splutter at me, which is why I avoid deep frying - and making caramel! We were warned in the instructions for making the caramel syrup that, when we added water to stop the caramelisation process, it would spit violently - and sure enough, it did. I unfortunately didn't read the tips of the other Daring Bakers for containing the spitting before I made the syrup, so I relied on the "duck and cover" method to avoid being burnt (which luckily for me, seemed to work). However, I was fortunate in that both lots of caramel came off without a hitch. For the syrup part, I was lucky in that I had recently made caramel for Tuesdays with Dorie, which taught me that you don't stir the sugar while it is melting (otherwise it recrystallises into a lump). I managed to complete the entire challenge over two week nights so that I could make it as a farewell gift for Simon, one of my colleagues. (This was unplanned, otherwise I would have made it at my leisure on a weekend.) Simon started about the same time as me, and has been a good friend. He taught me how to make better use of my digital camera, and hence the photography that you see on this blog, as lacking in technique as it sometimes is, could have been worse except for Simon's help. Simon also made me laugh because he always addressed me as "lawyer" or "solicitor". Just before Simon left, I learned that this is a Chinese custom for addressing professionals (Simon is originally from Hong Kong). I subsequently learned that one Daring Baker suggested freezing the caramels to remove the foil more easily. Another option would have been to use a silicone pan for setting the caramels, as another Daring Baker did. The caramel was very soft, so I also cut out a star from the caramel to decorate Simon's cake, as you can see in the picture at the top of the post. Unfortunately, the star melted for some reason (even though the cake was cold! ), so that when I unveiled the cake at work, the star was just a blob of caramel. I have a whole jar of this syrup left over, so I can make the cake again, or invent other uses for it (including some of the suggestions from my fellow Daring Bakers). This is the unadorned caramel cake - isn't it a beauty? There was a lot of work in this challenge, but I really enjoyed the final products. The caramels in particular were appreciated by my work colleagues, and disappeared at a great rate of knots. The caramel cake is lovely and moist, and I would certainly make it again, perhaps with a different frosting. You can check out over one thousand variations of this caramel cake at the Daring Bakers blogroll, and the recipe at our hosts' websites. Enjoy! Thanks to our hosts this month for a fabulous challenge. Happy Cook of My Kitchen Treasures is hosting her first event, Homemade Christmas Gifts. As the title of the event suggests, Happy Cook invites us to post about edible homemade Christmas gifts that we have made for our family and friends. As I mentioned in a previous post, I am steadily working towards making Christmas gift boxes for my friends and colleagues which contain edible gifts. One of the items which I have made for those gift boxes is a panforte, that lovely Italian fruit cake packed with nuts and fruit which always says "Christmas" to me. I have never made nor even tried panforte before, but I have always thought it looked delicious, and that this would be the year. It can also be made a month in advance, which is perfect for my purposes, as I can stagger my baking in the leadup to Christmas. There are many different recipes for panforte, but I selected this recipe for Golden Panforte from Taste.com.au. The result is pictured at the top of this post. I have not yet dusted my panforte with icing sugar, as I believe that it would make it too sticky right now, but my plan is to do so before cutting it into slices for wrapping and placing in my Christmas gift boxes. With all of those wonderful fruits and nuts, I believe that it will taste delicious, and I hope that the recipients think so. You can see the progressive roundup of homemade Christmas gifts here, so that you too may be inspired to make your own edible Christmas gifts. Thanks to Happy Cook for hosting this event. On a different note, I have been honoured to receive two awards this week. I hope that you are inspired to start your Christmas baking, and look forward to seeing your homemade Christmas gifts! 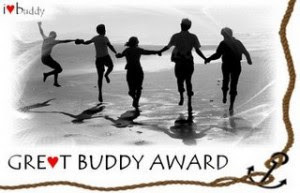 My blogging friend Ivy of Kopiaste has tagged me to participate in the Worldwide Blogger Bake-off for Breadline Africa. Breadline Africa is a charity based in South Africa and works towards ending poverty in Africa by helping communities achieve long-term self-sustainability. Breadline Africa was founded in 1993 by a group of community and social workers in South Africa and like-minded colleagues in Europe. Together they have raised funds in Europe and identified small, ground-level projects in Africa that are most likely to succeed with a financial boost. 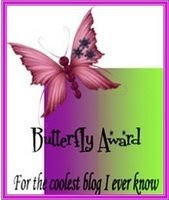 If you would like to join the Worldwide Blogger Bake-Off, details can be found here. These are some of the ways in which you could be a part of the campaign. * Submit your bread baking recipe. * Make a donation to Breadline Africa. * Vote for your favourite recipe. * Bake a loaf of bread and blog about it. * Bake many loaves of bread and host a bake sale. Bloggers who would like to bake for this cause may use the widget on their blogs and tag 5 other bloggers to Bake Bread, Give Dough and Feed Africa. I have baked Guatemalan Hot Chocolate Bread from the Macrina Bakery and Cafe Cookbook by Leslie Mackie to draw attention to this cause. I believe that it is a fitting choice, as the Macrina bakers first made this bread to raise funds for a fire-damaged library in Guatemala. The only problem that I had in making this is that the weather was unseasonably horrible and cold, so my yeast wasn't awfully keen on performing. This explains the rather flattish shape of my loaf. Preheat your oven to 180 degrees Celsius. Tost the almonds on a lined baking tray in the oven for 15 minutes, then remove from the oven and cool before coarsely chopping them. Turn off the oven. Warm the milk slightly, then add to the bowl of your electric mixer, together with the yeast, 1 tablespoon of sugar and the vailla extract. Whisk together, then leave for 5 minutes. Add the rest of the sugar to the bowl, together with the almond extract, eggs, cocoa, flour and salt. Using the dough hook attachment on your mixer, mix the ingredients on low speed for 2 minutes, then turn up the speed to medium and drop small pieces of pieces of butter into the dough. Once all the butter is combined, keep mixing for 12-14 minutes. Turn off the mixer and let the dough rest for 5 minutes, then add the chocolate and almonds, and mix for another 2 minutes to combine. Turn the dough out onto a floured bench and form it inot a ball. Put the dough ball into an oiled bowl and cover the bowl with cling film. Leave the dough to rise for 2 hours, when it should have almost doubled in size. Turn the dough back out onto a floured benchtop, and flatten it with your hands. Pull the edges of the dough to the top, and repeat until you have a tight ball. Line a baking sheet with a silicone mat or baking paper, and place the ball of dough in the centre of the tray. Cover it with cling film and allow to rise for 1 hour, when it should have doubled in size. Preheat your oven to 180 degrees Celsius. Remove the cling film from the dough and spray it lightly with water. Sprinkle the top of the dough with cinnamon sugar and bake in the oven for 1 hour until the loaf is deep brown and sounds hollow when tapped. Cool the bread on a wire rack before slicing. Tuesday with Dorie is hosted this week by Vibi of La Casserole Carree, who has chosen Dorie's Thanksgiving Twofer Pie. It is called "twofer" pie because it is two pies in one - pumpkin and pecan. However, I perservered with tart shell number 2, despite its appearance and obvious flaws. The pecan pie filling is then poured on top, and voila, after baking, I ended up with the pie at the top of the post. Despite my less than gorgeous tart shell, the pie turned out OK, and it tasted very good. The filling had a lovely smooth, soft consistency, unlike anything else that I have tried, and was delicious. I would make this again, but using my own pie crust recipe. I am sure that the other TWDers made a better job of this than me, so do check out their interpretations at the Tuesdays with Dorie blogroll. It's almost always someone's birthday at my work, and this time it was one of our young 'uns - Andrew No. 2 turned 22 about a week ago. Andrew is never shy about asking for what he wants, and he requested "something lemon" for his birthday. This of course left the field wide open, so I feverishly sifted through my books for a lemon-y cake that didn't use a whole carton of eggs (or even worse, just the whites!). I came up with Carole Walter's Golden Citrus Chiffon Cake from Great Cakes. It uses seven eggs (just over half a carton), but there is only one spare yolk, so the eggs are used efficiently. Instead of using orange and lemon rind to flavour the cake, I used all lemon rind and substituted lemon juice for orange juice, in keeping with Andrew's request for a lemon cake. I have to say that it really is a beautiful cake - it ends up being quite tall, and if the crumbs that I tasted were anything to go by, it tasted heavenly. (Unfortunately, I did not get a slice of this cake, as I made it in advance for a day when I would be at my secondment job). In keeping with the lemon theme, I filled the cake with bought lemon curd (mid-week timing made it impossible to make everything from scratch), and frosted the cake with lemon buttercream frosting from Jennifer Graham's The Crabapple Bakery Cupcake Cookbook. Finally, I piped Andrew's name on the cake using red gel, and put Lemonheads (courtesy of Nikki) around the edge of the cake. I understand that Andrew was very pleased with his cake - and he is a difficult boy to please - so I was happy with the end result. Preheat your oven to 170 degrees Celsius. Spray a 10 inch springform pan with cooking oil, and line the base with baking paper. Sift the flour, baking powder and salt together in a bowl and set aside. Beat the whole egg and egg yolks in an electric mixer for 3 minutes. Beat in 1 cup of the sugar only, 1 tablespoon at a time, over 5 minutes. Steadily pour in the oil while continuing to beat the mixture, then add the lemon rind and beat for a further minute. Decrease the mixer speed to low. Fold in one third of the flour mixture, then half the lemon juice, and repeat, ending with the flour mixture. Scrape down the sides of the bowl and beat the mixture for 10 more seconds, then set aside. In another mixing bowl, beat the egg whites until frothy, then add the cream of tartar and increase the mixer speed, and continue to beat the egg whites until soft peaks form. Add the remaining one third of a cup of sugar to the egg whites, 1 tablespoon at a time, until a soft meringue forms. Beat for 1 more minute, then remove the bowl from the mixer. Using a rubber spatula, fold 1/4 of the egg yolk mixture into the egg whites using 15 folds, then fold the egg whites into the egg yolk mixture, using 40-50 folds. Scrape the batter into the prepared cake pan, and smooth the top, being careful not to knock the air out of the mixture. Bake the cake in the preheated oven for 60-65 minutes, or until the cake turns golden brown and is springy to the touch. Take the cake out of the oven, and immediately invert it onto a wire rack, leaving it in the pan to cool completely. Once the cake is cool, use a long-bladed knife or spatula to loosen it and remove it from the pan. Cream the butter with an electric mixer for 2 minutes. Add the lemon juice and half of the icing sugar, and beat for 3 minutes. Add the rest of the icing sugar and beat for antoher 3 minutes or until the mixture is light and fluffy and spreadable. Beat in the food colouring. This frosting mixture is fairly forgiving, because I accidentally added twice the required amount of lemon juice, and while my frosting was runnier than it should have been, it set up nicely. You can have fun with different fillings and frostings on this lovely lemon cake, as lemon is complementary to many other flavours. It is easy enough to make the cake, and although there a quite a few steps to reach the end result, it is worth it to get a light, fluffy cake. I have been a bad blogger this week - I have made plenty of things that I could have posted about, and I just haven't. If there has to be a reason other than my own slackness, I blame the head cold that I have had this week, which although not particularly bad, has sapped the life out of me and made me feel at least fifty years older than I actually am. The cold is still with me, but I am hoping that the blessed intervention of the weekend (albeit a cold and wet one) will give me sufficient opportunity to recuperate and feel more like myself again. The wild weather outside has given me the perfect excuse to sit in front of my computer and post about the lovely Kiwi cookies that I made earlier this week called Coconut Whispers. They are from my latest gorgeous baking book, Ladies, a Plate, by New Zealand author Alexa Johnston. These lovely, golden cookies are a cinch to make, light as a feather and very moorish. Cream the butter and sugar using an electric mixer. Mix in the egg and the vanilla. Using a spoon, stir through the coconut. Place teaspoonfuls of dough onto trays lined with baking paper, leaving space for spreading, and flatten slightly with a wet fork. Bake in a pre-heated 160 degree oven for 25 minutes or until golden, and cool the biscuits on the paper on a wire rack. These biscuits are the perfect tea-time treat, being sweet but not overly so, and are so light that they won't spoil your dinner. They're just lovely. It's Tuesday with Dorie again, and this week, our host is Isabelle of Les Gourmandises d'Isa. Isabelle has chosen Dorie's recipe for one of my favourite desserts - rice pudding! I chose to make both "black" (chocolate) and "white" rice pudding, mainly out of curiosity because I had never tried chocolate rice pudding before. Just before writing this post, I read the comments in the TWD forum, and found that lots of people had problems with the pudding not thickening. I must admit to being very sceptical about only a quarter of a cup of rice being used to make the pudding, with more than three cups of liquid. However, mine thickened up nicely, even using the 35 minutes boiling time in the recipe (which Dorie subsequently corrected in the TWD forum to 55 minutes). This may be because I have a very lively stove - even when turned down as far as it will go, my gas cooktop still flames strongly, which means that I often have problems with recipes that have to simmer for long periods running out of liquid. The finished product was delicious! You only end up with a small amount of pudding - enough for 3-4 serves maximum - but this is perfect for me. It was also delightfully creamy, and the rice is softer than in my Mum's quicker, low fuss version. I think I preferred the chocolate pudding, but both were good. Although the time needed to make this pudding is greater than for my usual rice pudding recipe, the tasty end result was worth it. To see the other TWD members' interpretations of Dorie's arborio rice pudding, check out the TWD blogroll here. My dear blogging friend Ivy, together with Val of More than Burnt Toast and Giz of Equal Opportunity Kitchen, are hosting an event called Time To Be Thankful. For this event, we are asked to make something festive, and to post about it, together with relating why we are thankful, by 19 November 2008. I just started my Christmas baking last weekend. I have a mad project to make small Christmas boxes full of goodies for my friends and colleagues, and the fruit cake is where I started because it needs to be made at least a month ahead so that it can mature. I am going to slice it up into individual pieces so each recipient of a box receives a piece of fruit cake. I am thankful for the fact that Christmas is coming around, and that I am lucky enough to born in a place and time where I know that I will be able to shower and in turn be showered by love, affection and good food by family and friends. I am also thankful for my Mum, who has given me such wonderful memories of the Christmas traditions like making puddings and fruit cakes (even though we hated it as kids :) ) that I in turn am able to practise, long after Mum herself started buying hers. There is something very warm and comforting about doing things that you know your Mum and her mother before her did, and provides a link to your past that can never be severed. Unfortunately, I never knew my maternal grandmother, but I understand that she was an awesome cook who used to work in a cafe before her marriage. She used to have a book of handwritten recipes that she used at the cafe which, sadly, was lent to someone and never returned. I like to think that my interest in baking (discovered only a few years ago!!) was influenced by my maternal grandmother as well as my Mum. Plenty of time and elbow grease!! Chop the cooled raisins, and place them in a bowl with the sultanas. Dice the glace fruit and add thesse to the other fruit. Sprinkle the fruit with the brandy and sherry, then cover the bowl with clingfilm followed by a towel, and leave to steep overnight. Beat the butter and brown sugar with the lemon zest until light and creamy. Add the syrup and marmalade and beat well. Combine one of the eggs with one tabelspoon of the plain flour. Add the eggs one at a time, beating well after each addition, and adding the egg/flour mix last. Bake the cake in the preheated oven for 3 1/2 - 4 hours (mine took somewhere in the middle). Remove the cooked cake from the oven, and immediately sprinkle with the tablespoon of extra brandy. Remove the cake from the tin, leaving the paper intact. Wrap it in a teatowel and leave it to sit on the bench until cool. Once the cake is cool, remove it from the paper, and wrap it in clingfilm followed by alfoil. Store it in a cool place or the fridge for one to six months before serving. Thanks to Ivy, Val and Giz for hosting Time To Be Thankful. You can find the inspiring roundup here. Hooray - summer is almost here!!! We have had three days in a row over 30 degrees Celsius, which almost (but not quite) makes up for the fact that it will be ten degrees colder tomorrow. A litle while ago, I made icecream for the very first time. After using a work gift voucher to buy myself a KitchenAid (which I otherwise would never own!! ), my Mum gave me the money for my birthday (which seems a lifetime ago now) to buy the icecream maker attachment for my KitchenAid. I had a surplus of egg yolks left over from one baking project or another, so I bit the bullet and forced myself to read the instruction sheet to use the icecream maker attachment so that I could use the yolks to make icecream. I know, I know - I love getting new kitchen gadgets, but then the effort of having to learn how to use them puts me off. I owned the KitchenAid for over two months before I opened it! I selected Nigella's recipe for strawberry icecream from Forever Summer - primarily because I had all of the ingredients. Without boring you too much, I have to reiterate how much I love everything about Nigella Lawson - she's drop dead gorgeous, makes delicious food, unashamedly loves eating her creations, and can make the most prosaic of dishes seem melodic. Do check out Andrew Denton's fabulous interview with Nigella here. LOL where Nigella confesses to liking a "manly man" and a "pelt" on a bloke - I'm with her! Anyway, back to the icecream. The end result of this icecream was interesting texturally, because real strawberries colour and flavour the icecream instead of some terrible artificial additives, so the strawbeery seeds punctuate the smoothness of the icrecream. Although it tasted good, I'll confess to having stacks of it still in my freezer, because I am impatient when it comes to icecream - I want to eat it now, whereas homemade icrecream has to be softened before eating. I'm sure this will change when the weather gets warmer, and the icecream softens more quickly, but as it has been so cool until the past few days, I have lacked the patience needed to savour my icecream. Sprinkle the chopped strawberries with the 2 tablespoons of sugar and leave to rest while making the rest of the icecream. Put the milk and cream into a saucepan with the vanilla pod, and bring to the boil. Immediately remove it from the heat and leave to rest for 20 minutes. Whisk the egg yolks and remaining sugar until thick and pale, then after removing the vanilla pod from the cream mixture, pour the cream mixture over the egg yolks, whisking constantly so that you don't cook the yolks. Put the combined mixture into a saucepan and stir it over a medium heat until it thickens, then pour the resulting custard into a bowl to cool. Puree the strawberries, then fold into the cooled custard along with the lemon juice. Pour the mixture into your prepared icecream maker and churn it according to the instructions. Scoop the resulting icecream into a lidded container and place it into the freezer to mature. You will need to remove the matured icecream from the freezer to the fridge about 20 minutes before you want to eat it, as it is too hard to serve straight from the freezer, and it compromises the flavour. This week's Tuesday with Dorie is hosted by Yolanda of The All-Purpose Girl, who has chosen something that I have wanted to make for a long time - a kugelhopf. A couple of years ago, I did a beginner German class, and while I didn't retain too much German, I have hankered after making kugelhopf ever since learning about it in class. A kugelhopf is like a cross between a bread and a very plain cake, and is a yeasted baked item studded with raisins and traditionally baked in a turban-shaped pan. While kugelhopf is popular in Germany and Austria, with regional variations, it actually originates in Alsace. 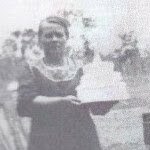 For more on the history of the kugelhopf and yet another recipe, refer to this New York Times article. I just used raisins in my dough as suggested in the recipe, because I don't mind them and I have heaps of them about for Christmas baking projects. I didn't have time to allow my dough to rest in the fridge overnight, so I only needed 40 minutes rising time after placing the dough in the bundt pan before baking. The two ends of my kugelhopf did not join together well, so I had a slit in my kugelhopf. However, the butter and sugar used to crust up the finished kugelhopf helped to seal the gap. It certainly wasn't a very exciting birthday cake. I would have liked the kugelhopf to be sweeter, but as no-one else came forth with a cake, it was the best that could be managed in the circumstances. My boss's assistant seemed to think he wouldn't mind having a kugelhopf as a birthday cake. Thanks to Yolanda for hosting TWD this week - you can find the kugelhopf recipe on her site or in Baking: From My Home to Yours by Dorie Greenspan. You can check out all the other variations on the kugelhopf at the TWD blogroll here. When my friend V agreed to catch up for brekky this weekend, I asked her if she would like to meet at a cafe or for me to cook. V asked if I could cook for a change, so I went into Nigella Express mode (there is a scene in that series where Nigella and her children carry trays of fodd through their neighbourhood to a friend's house) and made a transportable brekky to take to V's place. I decided to make oeufs en cocotte (baked eggs), then thought that fresh bread would be perfect to have with it. After a quick flick through Artisan Bread in Five Minutes a Day by Jeff Hertzberg and Zoe Francois, I settled on their recipe for Buttermilk Bread (p207), as I like my bread soft. Combine the yeast, salt and sugar with the water and buttermilk in the bowl of a stand mixer. Mix in the flour using a stand mixer with a dough hook. Cover the dough, and rest it at room temperature for about 2 hours (or until it rises then flattens on top). Grease a 9 inch loaf pan. Dust the surface of the dough with flour and shape it into a ball, then elongate it into an oval. Place the oval shaped dough into the greased loaf pan, and allow to rest for 40 minutes (or 1 hour and 40 minutes if using refrigerated dough). Preheat your oven to 180 degrees Celsius. Dust the top of the risen loaf with flour, and make a single slash down the centre of the loaf. Brush melted butter over the top of the loaf, then place it in the oven to bake for about 45 minutes or until golden brown. Remove the cooked loaf from the oven, turn out of the pan and cool completely on a wire rack before slicing. I spiced my eggs up with mango chutney and paprika. Preheat your oven to 180 degrees Celsius. Spread one tablespoon of mango chutney in the bottom of each ramekin. Break the egg on top of the chutney, one egg per ramekin, then place two tablespoons of milk or cream on top of each egg. Sprinkle a pinch of paprika over the top of each egg, and season with salt to taste. Place the ramekins on a baking tray, then place in the oven to bake for 15-20 minutes. Serve hot out of the oven with bread. It is delicious!!! I love this bread, which is deliciously soft and light, and I would make it again. I also liked the addition of the chutney to the baked eggs, which I did just because I had the chutney in the fridge and thought this would be a good way to use some more of it. I was very excited yesterday to receive a Blogging By Mail parcel from Nikki of Miss Cupcakeface in the USA. The contents of my parcel are pictured above. Thanks Nikki! My parcel contains lots of wonderful sweet treats - although I don't blog about it, I am a lolly fiend, so I was very excited to receive box upon box of sweets from Nikki. Nikki thoughtfully packed graham crackers, marshmallows and bars of Hersheys chocolate so that I could make s'mores. Yum! We don't get Graham crackers in Australia, so it is terrific to be able to see and taste exactly what they are, as they appear as an ingredient in many US recipes. She also packed a box of red, green and blue Wilton shimmer dust together with Wilton white sparkling sugar so that I can brighten my cake decorations. I love pretty shiny stuff to help me decorate my cakes! I received three cute cookie cutters in the shape of a heart, a gingerbread man and a flower. These are great, because I didn't previously have these shapes in my collection. There was also a massive Psychadelic Sour Jawbreaker - I am not yet sure how I will tackle this, but I am up for a challenge! And last, but not least, I received 7 boxes of candy - Skittles (fruit candies in lime, grape, lemon, orange and strawberry), Jolly Rancher Gummies (soft fruit candies in watermelon, apple, orange, cherry, grape and lemon flavours), Wonka Everlasting Gobstoppers (jawbreakers that change colours and flavours), Wonka Nerds (tiny, tangy crunchy candies), Mike and Ike Fruit Candies (cherry, lime, lemon, orange and strawberry flavours), Ferrara Pan Lemonheads and Wonka Sweet Tarts. Eat your heart out! (Although don't tell Boris, my dentist ;).) I have only tried the Mike and Ike so far, but they are good, and are not sold here. I also love fruit candies, so I now have a lot to choose from. Thanks so much to Nikki for this lovely surprise package and to the tireless Stephanie of Dispensing Happiness who organises Blogging By Mail, collecting data and matching bloggers and keeping track of what is going on (this time, for 117 participants!). This week's Tuesday with Dorie is hosted by Piggy of Piggy's Cooking Journal, who chose Dorie's rugelach. Now I have to admit that I didn't really know what rugelach were, as they are not a mainstream item in Australia. A quick Google search revealed that they are actually pastries of Jewish origin, originally made without dairy so they could be eaten with meat as a kosher dessert, but now the popular non-Jewish versions are made with a cream cheese dough, and traditionally are filled with apricot jam and walnuts. I pretty much stayed with Dorie's recipe, and used marmalade, currants, chopped chocolate and flaked almonds for the filling. I found the dough rather challenging to work with, because it went from very hard to very soft with nothing in between. However, the end result was worth it. These were really good - I actually wished that they were bigger! Thanks to Piggy for hosting this week's TWD, and you can find all the other interpretations of Dorie's rugelach at the TWD blogroll here.